Prayer is probably one of the more challenging of the spiritual disciplines for me. 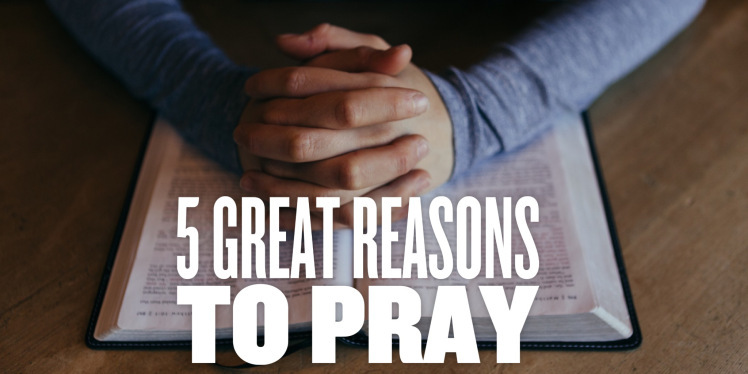 As I have been practicing Lent and traveled on a mission trip the last several days, I have discovered 5 really great reasons I have discovered that I need to pray more often. We were all made for connection with God. Being that I am not in a state of being where we can tangibly see each other or relate to each other as such, prayer provides this connection my soul longs for. Psalm 46:10 gives me a command to simply stop and know He is God, which is accomplished through prayer.